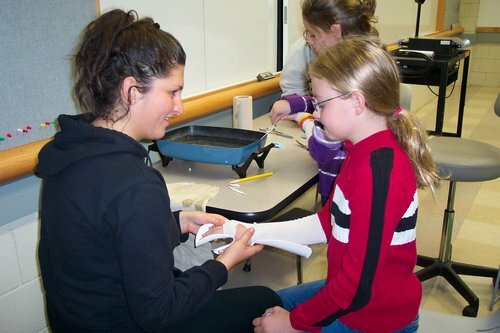 Experiential learning is a major focus of the Occupational Therapy curriculum. 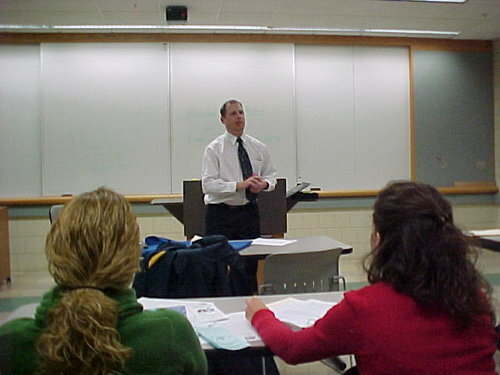 Included in this gallery are examples of a variety of occupations that take place during the course of study at Ithaca College. 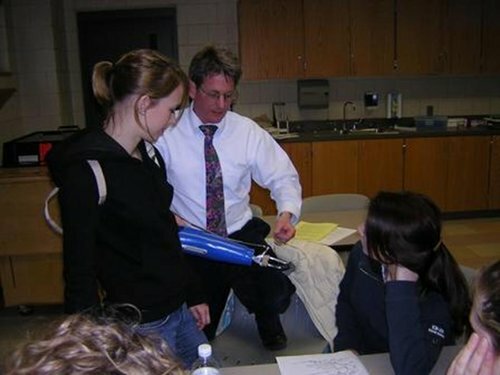 Jeff Bole from Finger Lakes Independent Center talking to senior OT students about accessibility in the community. Senior class discussing their experiences with the Senior to Senior program at Longview. 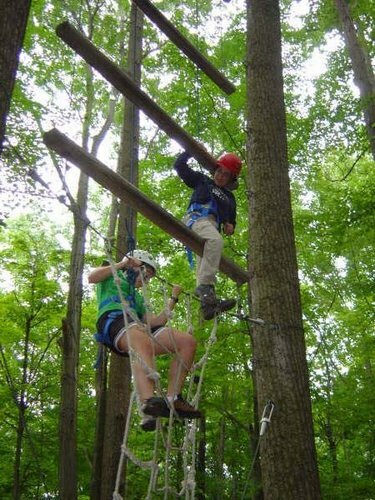 This experience is part of the coursework in geriatrics. 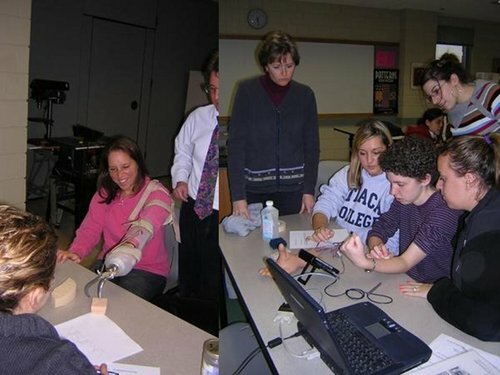 Chelsea Damon, Jonna Clark and Colleen Good, senior OT students, working together to analyze details of wheelchair components at BOCES as part of the Occupations III lab. Class discussions can generate laughter as well as learning. 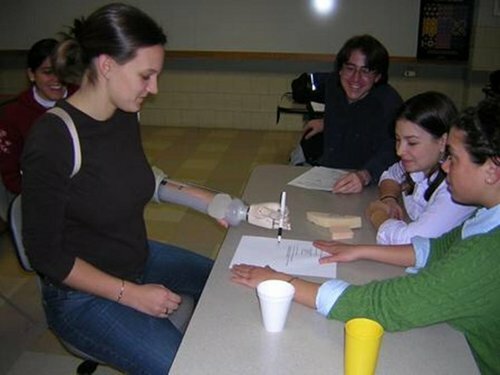 Students in Occupations III have to use a wheelchair for mobility for 2 consecutive week days and 2 weekend days to experience the difficulties of dealing with alternate mobility. 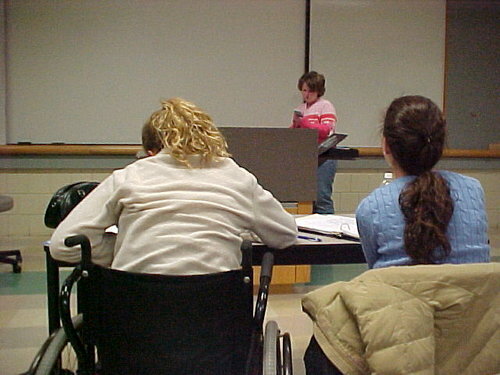 Rachael and Sarah in class during their days of wheelchair use. 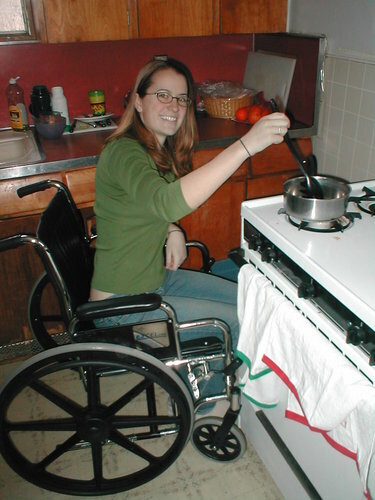 Sarah Newby cooking while using the wheelchair for mobility in the kitchen. 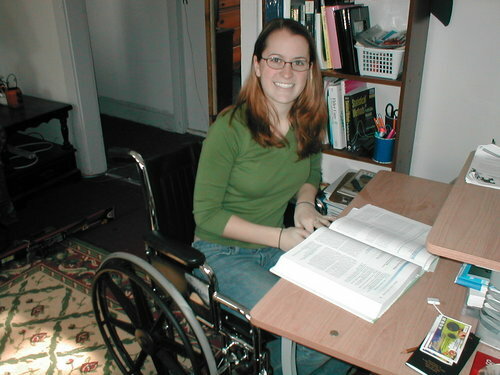 Sarah accessing her desk for studying at home.